Going by the Supreme Court cause list of today, a new bench comprising of justice Arun Mishra and justice Amitava Roy will be hearing the sensational Sahara-Birla payoffs case. Chief Justice of India J S Khehar will not be part of the bench. The Supreme Court had on December 16 termed as "unfair" the plea of noted lawyer Prashant Bhushan of NGO Common Cause seeking recusal of senior-most judge Justice JS Khehar from hearing a PIL seeking an SIT probe into alleged recovery of documents in Income Tax raids on two business houses, Sahara and Birla, in 2012. Justice Khehar had that day hinted that he might recuse from the case. The PIL makes bribery allegations against politicians, including several high profile ones. The court had earlier questioned Bhushan whether aspersions could be cast against the prime minister without placing sufficient evidence. "You are talking about the highest court of the country. Do you think we can succumb to any pressure?" 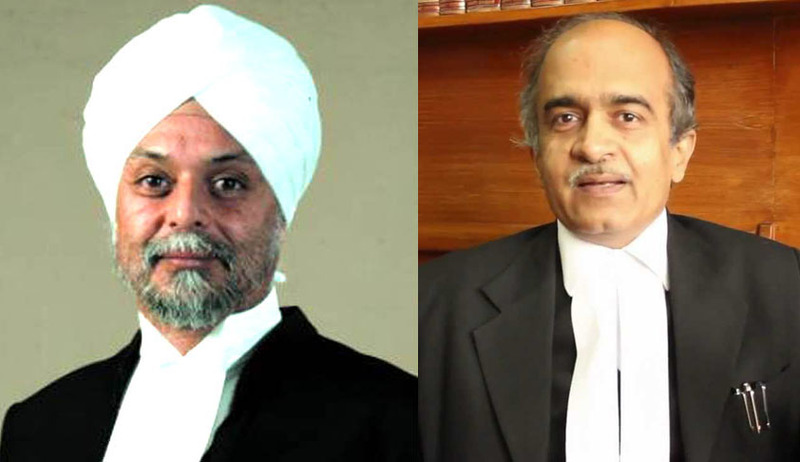 a bench comprising Justices JS Khehar and Arun Mishra said. The court was irked when Bhushan, representing NGO Common Cause which has filed PIL, sought recusal of Justice Khehar, whose name had been recommended by outgoing Chief Justice TS Thakur as his successor. "Though I have no doubt about the integrity, it is my duty, an unpleasant duty, as an officer of the court (to say) that this matter be heard by some other bench on reopening (after winter vacation)," Bhushan said, apparently hinting at the pendency of approval by the executive designating Justice Khehar as the next CJI. "Why should you say all this? it's very unfair. You appeared twice, thrice before us but you didn't say anything. Today you are saying things" the bench remarked. "If you had any problem you should have pointed out. It is very, very unfair. You are talking about the highest court. You are doubting a Constitutional functionary. Not fair," the bench had said. After the top court questioned the NGO and Bhushan for coming out with a plea without sufficient material and raising serious allegations against the highest constitutional functionary of the country, Bhushan on January five filed a fresh affidavit .Some e-mails, as annexures are part of the affidavit. Diaries, notebook, hand written papers, computer documents were recovered.. There has been no denial by anyone on the authenticity of the material placed before the court..